Last year on the House floor, Rep. Louie Gohmert (R-Tex. ), angry about the federal overhaul of health care, read a quote he said was from George Washington. Except, historians say, Washington never said those words. This week, Sarah Palin (R), former Alaska governor and a possible 2012 presidential candidate, has been ridiculed for her telling of a story about America’s founding. By her account, Paul Revere made his famous midnight ride to warn the Redcoats about the colonists. But in Washington, nobody should feel too smug, as Palin is hardly the only politician with a habit of helpfully twisting the historical record, accidentally or not, and sometimes with politically handy consequences. Senators, congressmen and even President Obama have misquoted the Founding Fathers in recent years — reverently repeating words that are either altered or entirely false. The problem results, in part, from an unfortunate marriage of two 21st-century trends. One is the new obsession with the heroes of the American Revolution as guides in a fearful era defined by political division and deepening debt. The other is America’s continued willingness to believe things it reads on the Internet. “As Jefferson said, the price of freedom is eternal vigilance,” Rep. Virginia Foxx (R-N.C.) said during a speech last summer. That quote is cited as being from Jefferson online, but — alas — Jefferson never uttered it. 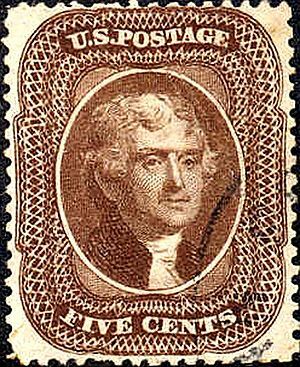 The research staff at Monticello, Jefferson’s estate, says it was incorrectly attributed to Jefferson beginning in 1838,after he had died. Word of this debunking, however, doesn’t seem to have reached Capitol Hill. A search of the Congressional Record and C-SPAN archives, covering the past two years, turned up at least 30 instances of politicians mangling the words or deeds of the country’s founders. Some errors were odd enough to be funny. In March, Rep. Michele Bachmann (R-Minn.)told a crowd in New Hampshire that the battles of Lexington and Concord took place there. But those fights actually took place in Massachusetts. Other misquotes seem to carry political suggestion. Obama has been criticized for making the same mistake at least twice in his speeches. When he recites a passage from the Declaration of Independence, he leaves out three key words. “We hold these truths to be self-evident, that all men are created equal, that each of us are endowed with certain inalienable rights, that among these are life, liberty and the pursuit of happiness,” the president said in a speech at a Democratic fundraiser, according to a transcript on the White House Web site.